Hypothyroidism Guidelines for Sufferers | Crank It! Hypothyroidism is a disease in which the thyroid gland doesn’t produce enough thyroid hormone. The thyroid gland is situated at the base of the neck just below the voice box. The hormones secreted by this gland control metabolism and affect every single cell in the body. Following are some basic hypothyroidism guidelines. The thyroid gland produces the thyroid hormones T3 and T4 which regulate many functions in the body. Symptoms are many and varied. They can also be so vague during the initial stages of the disease as to be unnoticeable as well as common to other disorders, notably menopause. 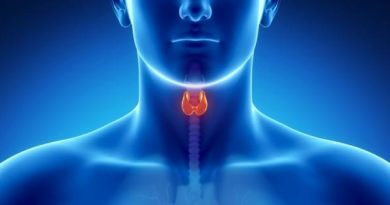 Physicians recommend people with hypothyroidism follow a number of guidelines which, if followed, can successfully treat this disorder and keep it under control. Regular medical checkups: – One of the most important hypothyroidism guidelines is that anyone who has been diagnosed with thyroid problems should undergo regular medical checkups. The treating doctor should be up to speed with the medical history of the patient and be knowledgeable about the disease. This will ensure the required medicines are prescribed. Regular laboratory tests: – A hypothyroidism patient should be tested fairly regularly to track the progress of their condition and note any deterioration or improvement. This allows dose rates and medications to be adjusted as required. Constant medical treatment: – Hypothyroidism can be very effectively kept under control through hormone replacement drugs. Therefore it’s important that patients take their medications as prescribed and follow medical directions with regard to their health generally. Dietary considerations: – In addition to thyroid hormone replacement medications, people with hypothyroidism can follow certain types of diets that are designed to help reduce foods that can aggravate the condition, or some of the symptoms. However, generally most patients can eat a wide variety of food, but it is advisable to know which foods need to be consumed sparingly, or cooked, and which ones can’t be taken too close to thyroid medications because they interfere with the absorption of the medication. 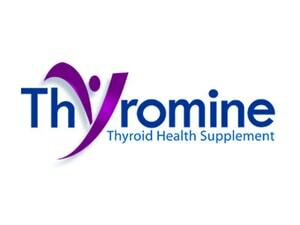 Some types of hypothyroidism, notably that caused by iodine deficiency, can be treated by including iodine rich foods in the diet. Notwithstanding this, it’s important to note that a balanced healthy diet is the foundation of good health generally, and will go a long way towards ensuring that even with thyroid issues, someone can still enjoy good health.